This year’s Teen Choice Awards gathered the coolest and most talented young stars in Hollywood. The star-studded guest list included Zendaya, Millie Bobby Brown, Isabela Moner, Lucy Hale, Rita Ora, Vanessa Hudgens and Fifth Harmony. Throughout the even, we noticed a multitude of impressive footwear choices on the blue carpet, ranging from strappy heels to color-block sandals. 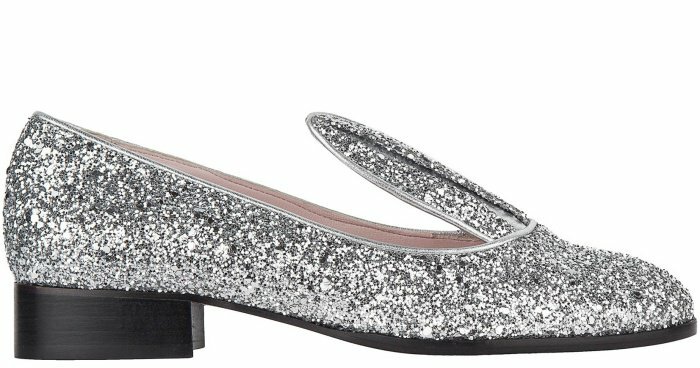 Check out a few more of the shoe picks that caught our eye from the 2017 Teen Choice Awards. The 18-year-old actress and singer made a colorful splash in a mustard yellow silk georgette “Call Me Later” dress featuring three flirty thigh-high slits and 30 hand-sewn removable buttons. Bea styled the frock with Adornmonde jewelry, a Salar Milano bag and Schutz “Enida” sandals that you can purchase at Amazon. These on-trend white sandals feature block heels, adjustable ankle straps and four-inch heels. Bea Miller at the 2017 Teen Choice Awards held at USC’s Galen Center in Los Angeles, California, on August 13, 2017. The 19-year-old Disney star stepped out in a red-hot ensemble from Bec and Bridge styled with cascading curls, red eye makeup and matching red heels from Sophia Webster. Peyton List wore the “Rosalind” crystal sandals, which feature an open-toe silhouette and crystal beaded heels. Peyton List at the 2017 Teen Choice Awards held at USC’s Galen Center in Los Angeles, California, on August 13, 2017. Zara Larsson opted for a two-piece Fendi Pre-Fall 2017 ensemble comprised of cropped pants and a blazer that she left unbuttoned to reveal her Are You Am I satin bra. The Swedish singer and songwriter styled her matching set with Jennifer Zeuner earrings, a Judith Leiber mirrored clutch and Gucci “Angel” spiked leather platforms. 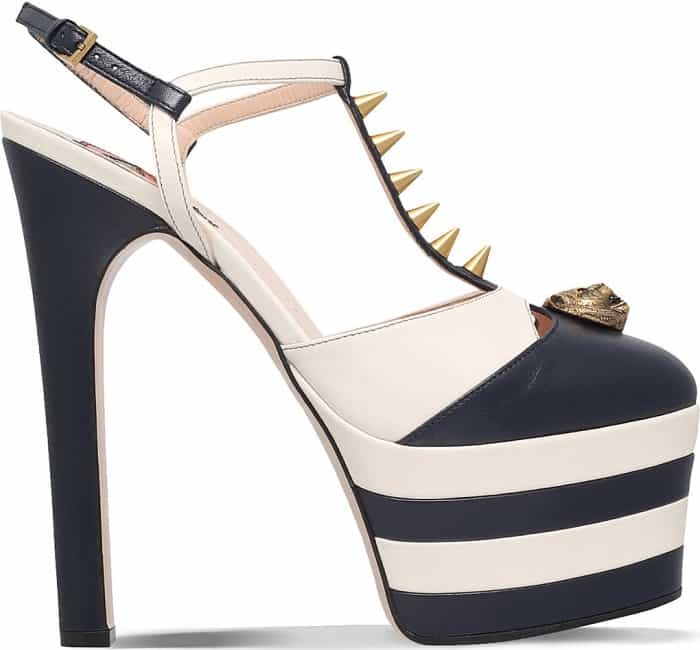 These shoes come in off-white and navy leather, and feature almond toes, buckled ankle straps and striped platform heels. They are also detailed with burnished gold studs on the T-bar straps and a tiger head on each toe. Zara Larsson at the 2017 Teen Choice Awards held at USC’s Galen Center in Los Angeles, California, on August 13, 2017. Of course, no carpeted event is complete without at least one pair of Stuart Weitzman’s “Nudist” sandals on the scene. Madelaine styled her silver heels with a two-piece Genny Spring 2017 ensemble comprised of a white silk embroidered blouse that featured wide sleeves and cerulean embroidery. She also wore the matching white embroidered silk organza shorts, which feature a flared skirt for effect. EF Collection jewelry, a Tyler Ellis clutch and flame-red curls provided the finishing touches to her look. Madelaine Petsch at the 2017 Teen Choice Awards held at USC’s Galen Center in Los Angeles, California, on August 13, 2017. The “Pretty Little Liars” star also wore the “Nudist” sandals to accept her Choice TV Villain award. She donned an all-white ensemble that consisted of a flirty cut-out dress and white leather Stuart Weitzman heels. Janel Parrish at the 2017 Teen Choice Awards held at USC’s Galen Center in Los Angeles, California, on August 13, 2017. The “America’s Got Talent” winner exuded laid-back chic in a Topshop suit and glittery loafers paired with a custom white shirt tucked into powder pink tailored cigarette trousers (available at Nordstrom). Grace styled her top-and-bottom combo with the matching double-breasted suit jacket ($125 at Nordstrom) slung over one shoulder. 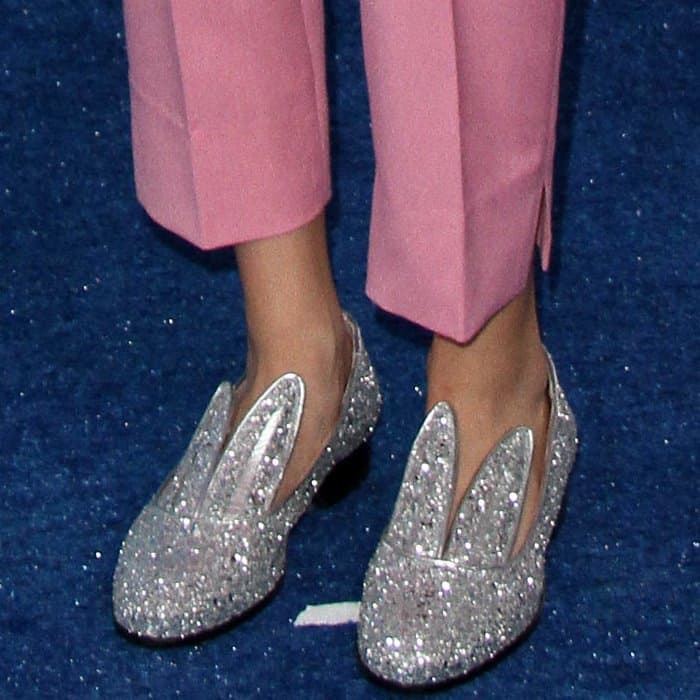 The 13-year-old singer completed her ensemble with purple highlights in her hair and Minna Parikka bunny loafers on her feet. 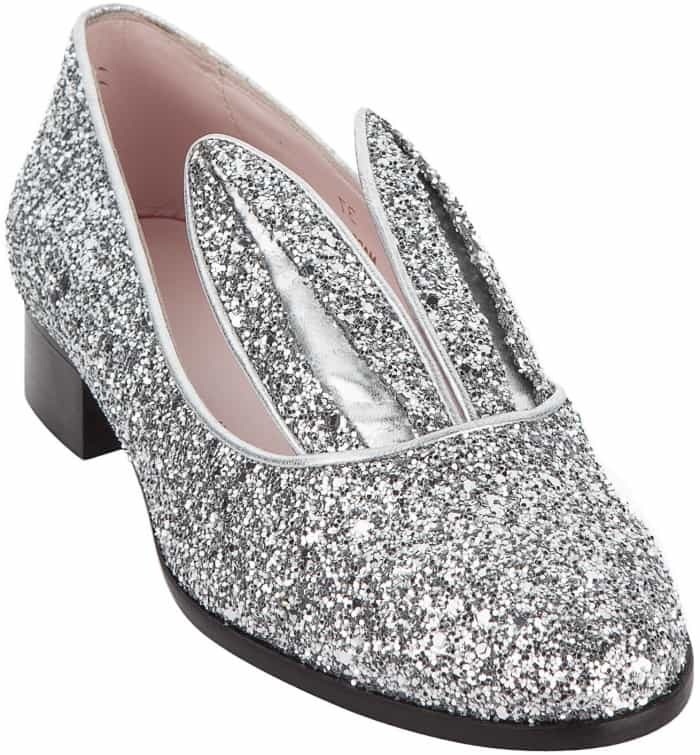 These shoes have low heels and synthetic bunny ear features with leather piping. Grace VanderWaal at the 2017 Teen Choice Awards held at USC’s Galen Center in Los Angeles, California, on August 13, 2017. The 19-year-old actress and model arrived wearing a Zimmermann peach floral silk crinkle georgette midi dress from the brand’s Fall 2017 collection. This number featured a front neck tie, elasticated sleeve cuffs, gathered ruffles and a tiered skirt. Paris styled it with a loose updo, Borgioni earrings and velvet ankle-strap sandals from Elisabetta Franchi. Paris Jackson at the 2017 Teen Choice Awards held at USC’s Galen Center in Los Angeles, California, on August 13, 2017. The “Riverdale” star oozed feminine charm in a Longchamp Spring 2017 ensemble styled with Dana Rebecca jewelry and Stuart Weitzman “Bebare” sandals (available at 6pm). 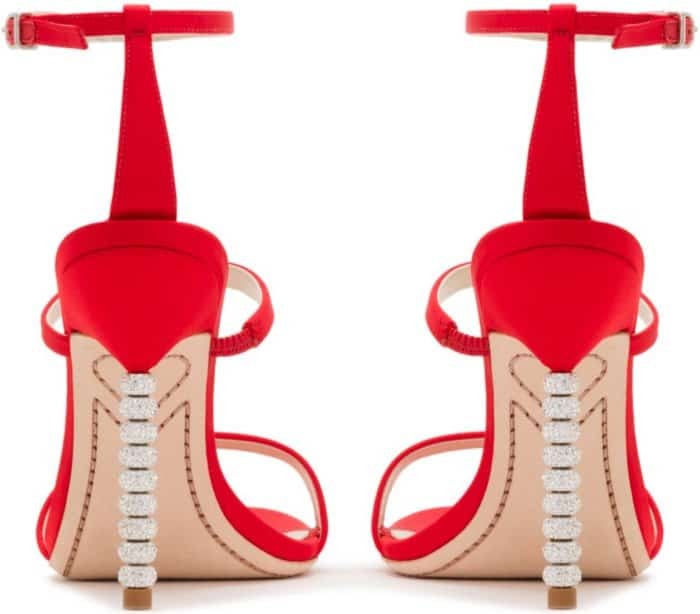 These shoes feature crisscross straps, wrapped platforms and heels, leather lining and an open-toe silhouette. Camila Mendes at the 2017 Teen Choice Awards held at USC’s Galen Center in Los Angeles, California, on August 13, 2017. Looking effortlessly chic in a Moschino Resort 2017 dress, Katherine McNamara was among the best-dressed stars at the event. The “Shadowhunters” actress played up the retro vibe by styling her red curls with a black headband. She finished off her look with powder pink Casadei pumps. Katherine McNamara at the 2017 Teen Choice Awards held at USC’s Galen Center in Los Angeles, California, on August 13, 2017. Meanwhile, Yara Shahidi brought her signature cool-girl edge to the star-studded ceremony in a pink Fear of God bomber jacket worn over a black Libertine sequined top and red-and-white track pants. Giuseppe Zanotti “Francesca” sandals and Tiffany & Co. jewelry provided the finishing touches to her look. 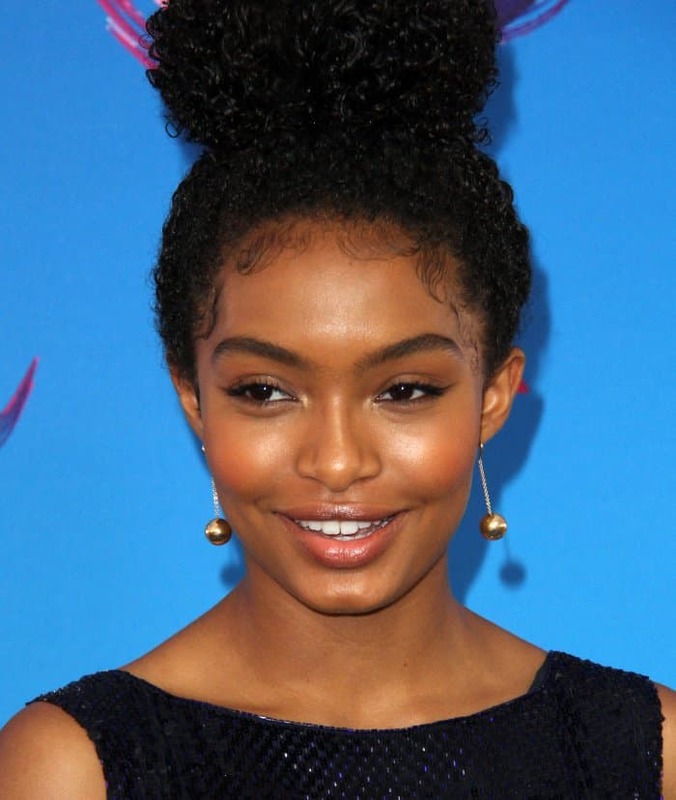 Yara Shahidi at the 2017 Teen Choice Awards held at USC’s Galen Center in Los Angeles, California, on August 13, 2017. The “Dance Moms” star stepped out in a Leilou by Aleksandra Dojcinovic Spring 2017 dress with a peacock design. 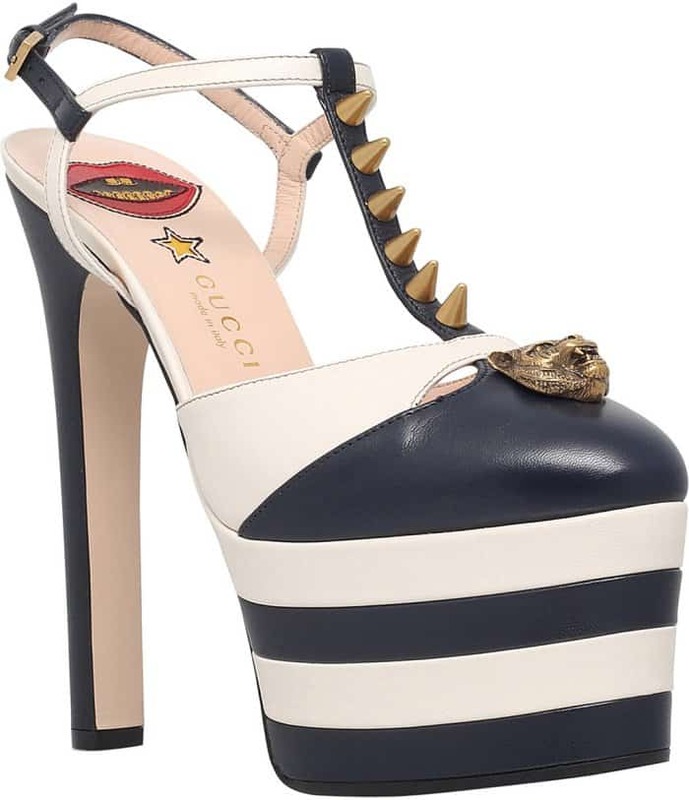 She styled it with a chic updo and red Loriblu ankle-strap sandals. Chloe Lukasiak at the 2017 Teen Choice Awards held at USC’s Galen Center in Los Angeles, California, on August 13, 2017. Finally, Naya Rivera arrived in a double-denim look paired with chic white pointy-toe pumps from Gianvito Rossi. She wore a Marques’ Almeida Spring 2017 button-down shirt with puffy sleeves styled with distressed jeans. Mounser jewelry and a grey studded belt provided the finishing touches to her look. Naya Rivera at the 2017 Teen Choice Awards held at USC’s Galen Center in Los Angeles, California, on August 13, 2017. Whose look was your favorite at the 2017 Teen Choice Awards?